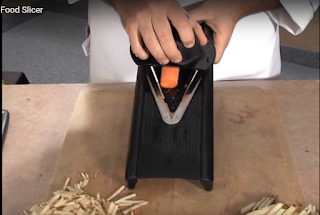 Food slicers are obtainable both in manually and electrically operated versions. They are labor-saving devices, but can be dangerous if not used with care, so working instructions should be placed in a prominent position near the machine. Slicing potato with food slicer. 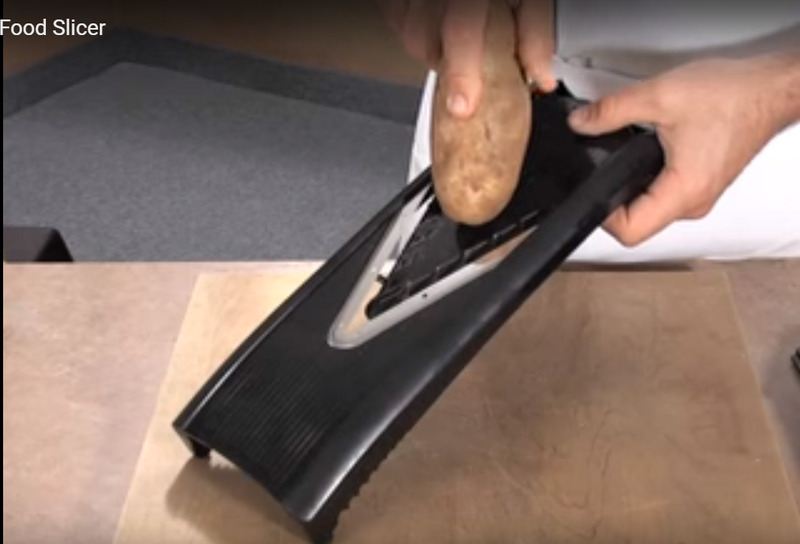 Care should be taken that no material likely to damage the blades is included in the food to be sliced. It is easy for a careless worker to overlook a piece of bone that, if allowed to come into contact with the cutting blade, could cause severe damage. Each section in contact with food should be cleaned and dried carefully after use. 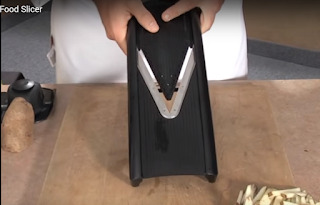 The blade or blades should be sharpening regularly. Moving parts should be lubricated, but oil must not come into contact with the food. Extra care must be taken when blades are exposed.